As a writer, one of the things I frequently ponder is the usage of words: what they mean, what people think they mean, and how they are used in any given context. It is particularly important to understand how a writer or speaker defines and uses them, because assumption leads to misunderstanding. I am one for giving folks the benefit of the doubt when they communicate, but that means understanding how they are defining their terms. Advertising and politics take advantage of our misunderstandings and assumptions. That is a problem, in my opinion, because I don't like being manipulated. I prefer to be treated like an intelligent adult. Before we bought our homestead I did a lot of reading about the homesteading movement. I ran across terms I had not seen before, "homesteading" being one. In my back-to-the-land days we called it just that. We spoke of living off the land and becoming self-sufficient. We didn't have electricity, but hadn't heard the term "off grid". I had to learn the new terminology. One of the things I learned was that the term "self-sufficiency" was out, having fallen out of favor as it became increasingly associated with isolationism (or non-consumerism). This points to something about words and terms - they evolve. Nor do they mean the same thing to all people. Take that word "homesteading". 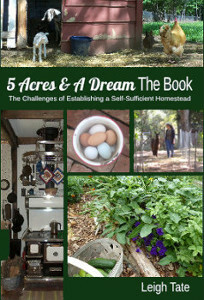 I've read blog posts, book introductions, and web pages attempting to define homesteading. Some I agree with, some I don't. Do I feel a need to correct anybody? No, because I don't believe all terms need to be strictly defined, nor do I believe folks should be criticized for using them differently than I do. Definitions are not necessarily intuitive, although we often think they are - the word "sustainable", for example. It is a very popular word these days. We hear it everywhere, so much so that I'd say it's a trendy word, wouldn't you? We hear of sustainable energy, sustainable agriculture, sustainable ecology, sustainable economics, sustainable development, sustainable design, etc., etc. I can't help but wonder if all of these are talking about the same thing, or if the word is simply tacked on because it is so popular. To understand how it is being used, I need to understand the thing which is being described as sustainable. Take energy, for example. The other term we hear in regards to energy is "renewable". It is easy to understand that some sources of energy, such as petroleum, are in finite supply. We cannot make more. Sun and wind, on the other hand, are not in danger of being exhausted anytime soon. Sustainable energy makes sense. How about sustainable economics? I had to think about that one. In a personal application, it would mean being able to support our needs and expenses from the homestead. It implies balance. Apparently business people do not think of it that way, rather, it seems to be the ability to sustain growth. Living as close to nature's cycles as I do, that doesn't make sense, because nothing in nature grows or enlarges infinitely. But that's not my point. My point is that I must be careful to understand how a speaker or writer is using the term so as to avoid misunderstanding them. Is "self-sustaining" a good substitute for "self-sufficiency"? I say no. A system can be self-sustaining, such as energy production, but I can still be dependent as a consumer and confined to the dictates of those who control that system. In a personal application I can create and apply sustainable systems on the homestead, but be dependent in other areas. For example, I could create my own solar electricity, but still buy natural gas for my furnace, stove, and water heater. Another example, I might have a self-sustaining supply of garlic and tomatoes because I save bulbs and seed. But I might have to buy cabbage and Swiss chard seed because they've been harder to collect. Why do I think it is important to define such things? For communications sake, surely. If I want to explain what we're doing and why, or if I want to encourage others, then we need a common framework of understanding. Unfortunately, when words evolve their meanings take on nuances or change completely. This can be either natural or deliberate. In fact, take the word "natural', for example. When I walk through a grocery store, pick up a product labeled natural, and then read the ingredients, too often I think ?????? Another sad victim is the term "green". Also the term "organic" (for which see The Midlife Farmwife's blog post, "Kissing Organic Certification Goodby".) The word "self-sufficiency" has come to mean a bad thing and I can't help but wonder about the word "sustainable" too. What will become of it? My life is busy and full, and I honestly don't have time to follow the trends - words or otherwise. Social media is too fast paced for me. I signed up for a simpler, slower life, remember? So I'll just keep plugging away, using the words that seem best to me, defining them when I deem necessary. I'll continue to look at disagreements as opportunities to enlarge someone else's understanding as well as my own. So, now that I got that off my chest, tell me what you think. I doubt you will ever reach any type of consensus. I mean when you see blogs that title themselves "Self Sufficient living in where-ever-ville" and all they have is what they buy and store then the words have lost all meaning. I guess you could say self sufficient as long as FIAT cash is accepted as payment to be technical though. It's a tough thing to categorize. 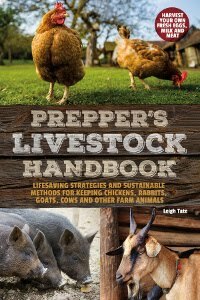 I started using the term Sustainers in place of preppers or survivalist. It means to me we are focused on producing and sustaining our own needs. Sometimes through the use of tools we maynot be able to produce ourselves of course. There is that commitment to producing as much of our needs as possible from our own land with our own labor. Not just buying and hording stuff. Seems to be the dividing line for me anyway. And I call it 'intelligent interdependence' since true self-sufficiency... only what you produce, all the time, is incredibly difficult to achieve. Even back in the 'good ole days' there were the annual trips to town. Too right! Words have lost much of their meaning. We have a shampoo brand here called Natures Organics. There is nothing natural or organic about it! PP, I agree and that makes it difficult to try to explain what we're doing and why. Of course some folks are against it no matter what terms we use and will argue just for the sake of proving they don't like it. I think the important thing is coming to terms with our own terms, which you seem to have done. When the sugar hits the fan, which words we used won't mean much. Jacqueline, 'intelligent interdependence' , great term! The key is finding like minded folks who are trying to achieve the same thing. I would love, for example, to trade work days with neighbors, but unfortunately we're viewed as a couple of nuts. What that means on a practical level, is that we can actually accomplish less, but that doesn't mean we give up. The internet community is a great support system for that. Jessie, that's it exactly - the implications color the meanings. The irony is that the term 'self-sufficiency' has its roots in the back-to-the-land hippy movement. Those of us who partook often did so in groups, which came to be known as communes. IOW, it was the commune that was striving for self-sufficiency. Even so, I still use the term but have adapted it to a more personal meaning, i.e. not being dependent on the government, industry, or consumerism to meet my basic needs. Mike, LOL. We all do it! That's the point really. I just hope to encourage folks to take time to discern what others mean when they use various terms. It's a near impossible task, however, because meanings change, or trend rapidly. I understand, and feel the same. I feel strongly about the use of the word farm, and although I have "Goodwife Farm" in my blog address, this isn't a farm. I grew up smack in the middle of farm country and come from farmers. To me farming is owning hundreds of acres of land that is put in corn and beans, wheat, and sometimes milo or oats. I always chuckle when I hear people refer to themselves as "farmers" because they raise a garden and have some chickens, but I don't judge. Words are powerful and they mean so many different things to so many different people. All we have to do is talk to someone from a different area....take for example when I moved down here someone asked me if I wore a toboggan when it's cold...??? I asked them why in the world would I wear a sled to keep warm? Where I'm from a toboggan is a sled, and a stocking hat is what you wear on your head to keep warm. A guy we work with is from Seattle and it's called a beanie where he's from. Goodwife, I had to laugh about the toboggan because Dan and I had the exact same experience! It's funny though, because even though society supposedly embraces diversity of culture, we seem to confine our use of words and their meanings quite severely. How many arguments have broken out because of differences in interpretation of words?! Have to agree about labels, I don't like them either, which is why I tend to write posts like this. Mama Pea, I think you are pointing to something very important. It seems to me that conversation and communication are truly lost arts. One stumbling block I see is that folks tend to personalize too much and therefore take offense at something that really has nothing to do with them. I lament that we've dropped the usage of "one" as a pronoun. Using "you" as a generic term lends itself to that personalization and more miscommunication. True conversation is truly an art, and that isn't taught any more. It used to be a highly refined form of entertainment, but we've become so isolated in entertainment nowadays. Except for team sports, what's so sociable about video games? Respect for others has been replaced with "self-esteem". And on and on. In other words, I agree with you! Beautifully written and sums up why it is hard to "label" what we are trying to do. We've been on our new property 2 1/2 years and are still trying to name it! Labels really tend to skeeve me out--for one thing I think putting folks or trends or dog breeds into a box means the viewer can't ever see the real person/trend/dog. For another thing, or perhaps just an expansion or furtherance of the first thing, labels lead to zealotry, and I find zealotry very scary. If I say I like permaculture, then the first time I do something outside the permaculture box I'm likely to be thought of as a poor permaculturist. To be a good permaculturist, I can never waver from the ideals, even if those ideals do not perfectly suit my reality. Therefore, I must be an all-in permaculturist, or a bad permaculturist. And while I love permaculture, and incorporate as much as I can, I can't think of anything more boring than a 24-7 permaculture-only mindset. I think our need to put labels on things has led to a lot of the problems we have in government. You have to either be a democrat or a republican. Otherwise, you're weird and don't count. Why can't I just push for the best leadership for our country? Zealotry in any direction leads to bad things, and I really think it starts with the label. Sorry to rant, but this has been on my mind and close to my heart the past few days. Homestead Lady, excellent definition! I so agree about leaving the land better than how we found it. That's one of our primary goals on our homestead. Kat, rants welcome! It's truly a shame that some folks want to nail labels down onto restrictive little boxes and then keep others confined to them. That's why I'm so fond of saying that there is no one-size-fits-all method of doing this. I agree that many words lose their original meaning over time. Or there is a new trendy one to take it's place. I describe what we are aiming for as Trying to be as self sufficient as possible. As long as I have a couple of dollars I WILL have toilet paper. Fabulous post Leigh! Goes back to a section in your book, if I remember right? I think in some respects, no matter what word someone uses to define what they are doing, there is going to be some misunderstanding from someone else for the simple fact that we all have different life experiences, therefore we all see that same word as meaning something else as an individual. I agree that "popular" words and phrases are over used. I try to only use words that mean something to me personally. I really enjoyed this post! And it sparked an idea for one on my own blog. Thanks for always sharing. I dare not write anything LOL. My daily morning radio program is running a series whereby a marketing guru tells us all how we are being manipulated in advertising. This use of words that imply health and well-being was the topic yesterday. Its an eye opener. Outstanding post! Ralph and I had never labeled ourselves. We just consider our desire to have a small farm and grow our own food ..well...normal. Then we found out we are considered homesteaders. My idea of a homesteader is a pioneer who took raw land and turned it into a home...hence HOMEstead. Now everything has to be labeled correctly and re-labeled often to keep up with style or trends. I really enjoyed your research into the meaning of these trending words so often used! I'm constantly being corrected on my "words" by my teenager, and occasionally by my husband. It's not meant to be an insult, they're just trying to get me to join the 21st century on social media lingo - or what my husband calls the "Zeitgeist". Yeah, look that word up, lol. I happily say, keep me ignorant please because I'm not interested in adopting another language based on popularity. If the words cannot stand on definition alone, rather they have to be translated through social trends, then I'll keep my grey matter exercised somewhere else. Permaculture could be considered a "popular" term but the reason I don't disregard it is, the definition can be easily understood - permanent agriculture (permaculture). I'm okay if people just want to call it, what my grandparents used to do. It falls within the same field of reference, so long as it regards the natural cycles of production. I think where we get confused with self-sufficient is, we look at it with industrial goggles on. If one is to be "self" sufficient, it doesn't mean the totality of the exercise, pushed to maximum yields. It means what the "self" is able to suffice. Which means it will change with the circumstances. Industrialism won't self-regulate like a person can. Ergo, I think we have to treat the word "self-sufficient" as something with billions of different meanings, as many as there are people in the world. The human need for labels and definition is the very one that divides humanity. I don't define myself. People try to define us as "way out" because I mow my lawn with sheep and I don't spray for ticks, I remove their habitat and hosts. I depend upon my land for my physical well being and my emotional one as well. While the land was tucked in tightly under the ice cap, I was so sad. I missed it. The smells. The sounds of my water. The gentle nickering of my goats. The not-so-affectionate kick in the knee from grain-loving bossy sheep. Having just been to a NOFA (Northeastern Organic Farmers Assn.) conference and seeing what the other people who depend on the land look like, I am not like them, either. I don't strive to provide for others. I provide for my family and friends. Period. My mother said once that I am not a farmer. She was right. I am not bringing things to market. I live on and off of the land. I live for the land. I also think it is safe to say that I could not live without some. I tried it once. I was lost. The notion once described as Sustainability has just become another tag line. Another marketing gimmick. Free range chickens. Anyone who ever had or has chickens knows that they stay where the food and the flock is. You make it plentiful inside, that's where they will stay. To get that organic label, the door just has to be open. I'd rather have a bird whose insides were cleaned by my own hand and whose end was thoughtfully and carefully wrought. My kids eat meatless meals not because we are vegetarian, but because somewhere, somebody had to kill something to make that meat. What more of us who love the land are doing is being careful about how MUCH we put on the land and what we are asking of it. My 9th grader had to calculate how much land it took to keep him alive for a year given the types of food he consumed in an average week. He was stunned. So was I. He said, "I understand why you like to grow food in a jungle. It uses less land." One small victory within the walls of my own home. Land lovers of the world unite! Deb, I'm with you on that toilet paper, LOL. "Trying to be as self sufficient as possible" is exactly what I like to say because I think it states the goal but acknowledges that at some levels it's neither realistic nor possible. That doesn't mean we can't try, however. Stephanie, thanks! Yes, I did take care to spend time defining the terms I was using in my book. I thought that was important. I agree with what you're saying, both in terms of misunderstanding and in overuse of many words. I think if we would all try to understand what others truly mean by the words they use, we'd all come a long way toward respecting one another. Lynda, what timing, eh? Advertising is one of the worst! Fiona, thank you! "Homesteading" is a good example of word evolution. I'm not even sure how it came to change meaning like it has, but it certainly did. It's tough keeping up with the trends, though, isn't it? Barb, amen. Yes, the bottom line is the land, and if we don't love it we end up abusing it. I worry of that constantly, always trying to keep that balance that keeps it healthy and thriving. Very interesting about your son's assignment. Sounds like something everyone should do. Good post, Leigh. I'm going to forward the link to our community garden volunteers because they are constantly debating what the various terms mean, like self sufficient, farming, organic, natural, etc. Besides your post the comments have some great viewpoints too. I'm really enjoying the discussion! I think of sustainability as meaning that you can maintain the system you have evolved indefinitely with the resources at hand. I find the evolution of words to be interesting. I think the English language is being simplified which can be good but can also be dumbing down of our vocabulary. Sometimes the original meaning is nothing like what it as evolved to. Take the work "awful".Originally it meant full of awe and now it means something bad. I don't think all these abbreviations used with electronic devices is a good thing. Oh lawz. I do identify with this post. I know language "evolves" but it can also de-evolve...meaning what comes out isn't necessarily better or even good. Then you have those "kind souls" (although I spelled it soles...interesting...) who tell me, "You sound so stuck-up when you talk." If I were to tell them, "You sound so dumb when you talk" do you think they'd become angry? Karen, On the banks of Salt Creek had it right...dumbing down. Hi Leigh. Your excellent post touched on a couple of complications to communication that I find to be as challenging as definitions: Intentions and 'pop culture' references. As you noted, much of the intent of advertizing and political communication is not to clarify but to confuse and deceive. While this is a sad thing, most of us have come to expect deceptive communication from advertisers and politicians. We know to take what is heard with 'a grain of salt'. Sadder yet is that much of "popular society" is so saturated with "political correctness" and social agendas that to really comprehend one must not only understand definitions but must also have some a priori knowledge of the communicator's intent. The other thing I struggle with is the ubiquitous references to 'pop culture'. De and I have essentially given up on TV and most movies being created these days and I find myself increasingly "out of touch". With so much of our society saturated with TV, music, entertainers, and movies, some words and quotes take on specific meanings that can only be properly understood by knowing the popular culture reference associated with them. I get that we all communicate via common cultural references, but I find it a bit sad that so many of our current commonalities revolve around fictional characters and situations whose primary purpose is push the already pitiful cultural boundaries of decency and morality. Harry, that's exactly how I think of it. Karen, I actually have a link to that post in my "Homesteading Viewpoints" link list in the sidebar. :) Excellent example with the word "awful". What an easy way to misunderstand someone! I agree with e-communication. The abbreviations are a language all of their own. Sandra, I definitely agree with you (and Karen) about the deterioration of language. Language is something that truly sets us apart from all other species. Animals communicate, but not is such a sophisticated manner. We almost seem to be going backward. Mark, well, you and De are not alone. One time when I didn't know who some pop star was, I was asked, "Whatsa matter, you live under a rock?" I replied, "Not under that rock anyway." I have a different take on the word sustainability and what it means in today's world. You are free to call me a conspiracy theorist, but if you do your research, you will come to realize what is really going on, especially in CA right now with the water restrictions.The water control is so bad, hundreds of farmers have been forced out of their livelihood, and Northern CA and Southern OR want to become their own state of Jefferson so they have say and control of what happens to them. Rosa Koire is well respected and has good information on the web about sustainability and what is happening in your city and county governments who are changing all their rules (redevelopment)to conform with the new state sustainability regulations, and of course, to retain the flow of money. Also, www.democratsagainstunagenda21.com is a good website for information. There are many other websites out there that explain it and Tom DeWeese has some great videos. The Venus Project (circular cities) is designed to get people out of the rural areas and suburbs and into cities. The words all sound good,because of course, who wouldn't want to be sustainable, and it is a play on your emotions of protecting the environment, but it is about controlling YOU and restricting your rights. WA state now has the nations first "community forest" managed by the state, of course. I know this may not be published, and there are many out there who will disagree. It is easy to just keep plugging along in our day to day life and ignore what is really happening all around us (sheeple), which is (sustainability)the elimination and restriction of your freedoms, rights, and land use. Rose, what you're talking about is one of the things I meant when I said I don't like being manipulated with words and why understanding what the speaker/writer means is so important. "Sustainability" by big government and big business is all about profit and control. That's pretty obvious to anyone who takes the time to look at what's being said versus what's being done. Unfortunately too many hear or read the terms but assume they mean something good for the people or good for the earth. National Geographic had an article a number of years ago about how moving everyone into urban areas will save the world. I had never read anything so blatantly illogical and idiotic in my life. But isn't this how folks are herded? By giving them magazine and newspaper articles, movies and documentaries to mentally prep them? I'm thinking of the old "you can't cook a frog by tossing it into boiling water but you can cook it by slowly turning up the heat." Unfortunately, it doesn't seem to matter whom we vote in office, the agenda pushes forward anyway. Leigh, I really enjoyed this post but didn't initially comment on it because I needed to think about it and gather my own thoughts on the subject. I agree with the way these terms are used, such that really, they are often rendered useless. After some reflection, I wrote a post about my thoughts today and basically, I think I can sum them up by saying that were I to define the sustainability that I would like to live, I would be referring to a lifestyle in which we give back to our earth as much as (or more than) we take from it. I think this is what I would term sustainable. Am I not only refraining from using up all the resources I have at my disposal, but enriching the world around me? Rosalyn, I think giving back more than we take from the earth is the only way we're going to keep it healthy and productive. I think I mentioned earlier in the comments that when we first started using the term self-sufficient, it was in the context of community living, i.e. the old hippy communes! Dan and I have often wished for a group of folks with similar goals and values. Finding such a group would be ideal, but I'm going to say near impossible, at least that's the case in our area. It only takes one person to undermine a group, either deliberately or simply because of a conflict of ideals, ways, means, etc. I sincerely hope you find such a network!